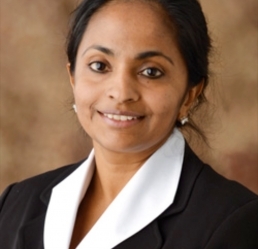 Dr. Mini Sreedevi relocated from Bourbonnais, IL. She completed her medical degree training in India from the University of Kerala in 1994. She actively practiced in India x 8 years. She had repeated her residency training at the John H. Stroger Jr. Hospital of Cook County in Chicago, Illinois in 2011. Dr. Mini Sreedevi is a board certified physician and looks forward to taking care of your health care needs. Dr. Sreedevi is qualified to perform general obstetric and gynecolological surgeries as well as in office procedures.